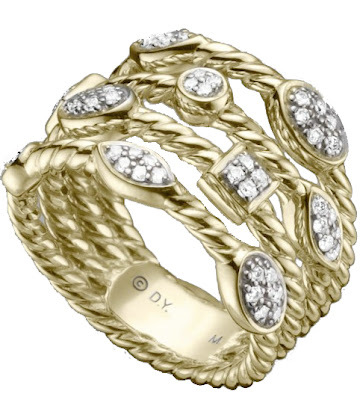 I have been obsessed with this David Yurman ring from the Confetti Collection for years now. This stunning 18-karat yellow gold pave diamond four-row ring is sure to brighten up any day. This is one investment piece I can't wait to purchase!